Young Adults With Autism Deal With Mental Health Issues, Too : Shots - Health News Young adults with autism are more likely to have anxiety, depression or other diagnoses than people with other disabilities. And that can make transitioning to adulthood more challenging. 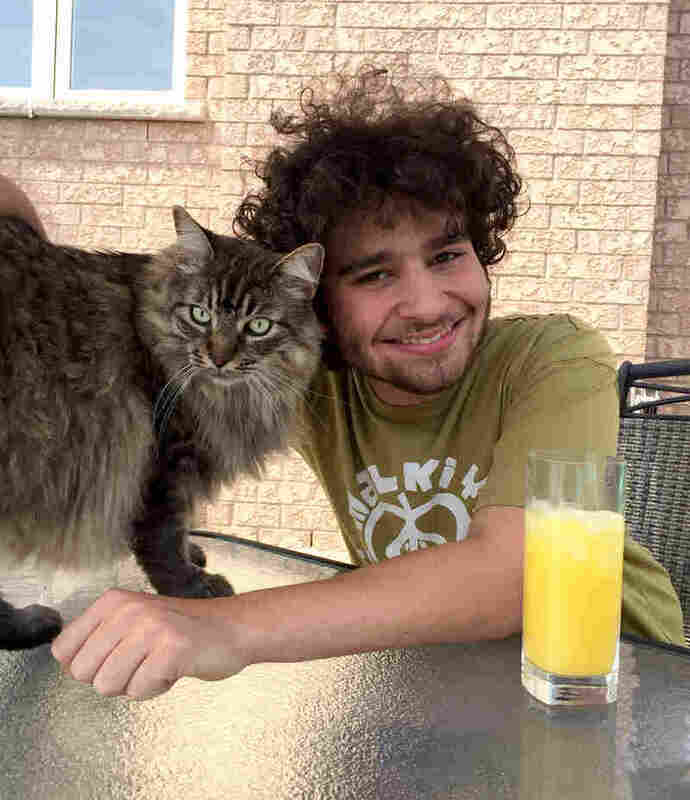 College involved "many anxiety attacks and many trips home" for Daniel Share-Strom, an autistic 27-year-old motivational speaker in Bradford, Ontario. It wasn't just the challenge of organizing his assignments and fighting the disability office for the extra time he needed for tests. It was also managing all the aspects of daily life that most people not on the autism spectrum take for granted. "Relationships are so much harder to understand or initiate when by default you don't really know what certain facial expressions mean or what certain actions mean," Share-Strom says. Young adults on the autism spectrum are more likely to also have been diagnosed with a psychiatric condition, such as depression, anxiety and attention deficit hyperactivity disorder (ADHD) than are typically developing people or those with other developmental disabilities, a study finds. And managing those multiple conditions can make the transition to young adulthood especially difficult. It's not clear how much biological factors may contribute to the higher rates, but Share-Strom definitely sees environmental factors playing a major role. "People with autism aren't immediately born anxious or with depression," Share-Strom says. "The world is fundamentally not built for us, and people are always judging and trying to change you, whether they have the best intentions or not," he says. "Of course that's going to cause a higher rate of anxiety and depression and even suicide rates. I'd be surprised if it didn't." That makes providing resources for these young adults all the more important during that transitional period. "When it comes to mental health diagnoses and use of psychiatric services, there's a really strong need for the entire developmental disabilities community, but it's an even bigger need for folks on the autism spectrum," says Yona Lunsky, a senior scientist at the Centre for Addiction and Mental Health in Toronto and coauthor of the study. "I think sometimes people will dismiss something as being part of autism when, in fact, it's not," she adds. "There are people with autism who don't have psychiatric issues." Lunksy's study is not the first to find a higher prevalence of mental health conditions among those on the spectrum compared to those with typical development. But it is the first to compare autistic young adults to those with other developmental disabilities. It also uses a standard method of gathering data, relying on diagnostic codes in administrative health data instead of using surveys. Their data came from two groups of young adults, ages 18-24, in Ontario, Canada. One group included 5,095 young adults with an autism diagnosis and 10,487 people with another developmental disability diagnosis and no autism diagnosis. (Those with both were excluded.) The other group was a random selection of 20 percent of young adults in Ontario without a developmental disability diagnosis. They chose age 18 as a starting place because that's when people switch from child to adult social and mental services in Canada; they ended at age 24 because Canadians with developmental disabilities usually remain in school until age 22, providing two years of follow-up data. In the U.S., public special education services continue until high school graduation or until age 21 in most states, 22 in some others. Those on the spectrum were more than five times more likely to have a psychiatric diagnosis than typically developing individuals and nearly twice as likely compared to others with developmental disabilities, the study found. While 52 percent of autistic young adults had a psychiatric diagnosis, 39 percent of those with other developmental disabilities did and 20 percent of typically developing people did. Those with an autism diagnosis were also more likely to visit the emergency department for psychiatric reasons (8 percent) than those with other developmental disabilities (7 percent) or typically developing (2 percent). 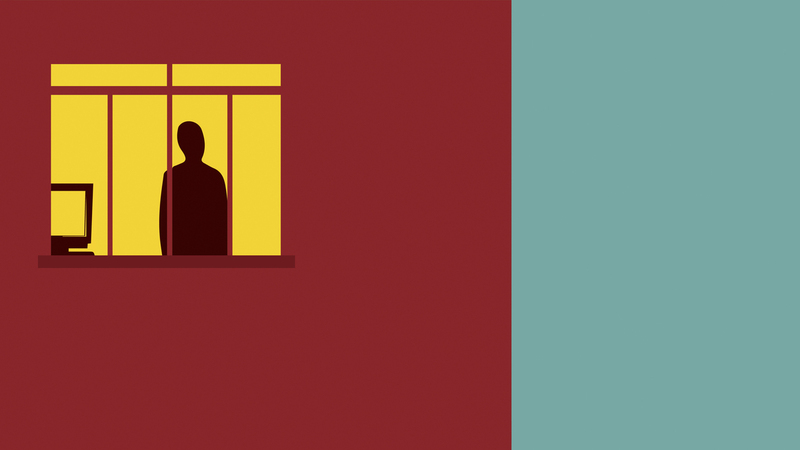 By contrast, non-psychiatric ER visits were similar between autistic and typically developing young adults: 26 percent of those on the spectrum and 25 percent of typically developing adults, compared to 34 percent of those with other disabilities. Those on the spectrum were also less likely to have asthma, high blood pressure or addiction disorders than those with other developmental disabilities. "We weren't doing the study to look at mental health," Lunsky says. "It's just what emerged. Unmet needs have a social cost, so we want to be able to recognize both physical and mental health needs for everyone and get them the right care." That means recognizing that symptoms and behaviors of depression and anxiety may look different in those with an autism diagnosis than in those without, she adds, and caregivers and providers need to understand that. Indeed, it is especially important to individualize care for youth on the spectrum, according to Lynn Davidson, a pediatrician and member of the American Academy of Pediatrics executive committee on disabilities. "Transition for youth with autism is a very challenging process," Davidson says. "It is doable, but it takes a lot of preparation and a lot of time on the part of the families, on the part of the patient and on the part of the providers. The earlier one starts, the better." Research literature suggests that it's good to start learning daily living skills, such as laundry, cooking, bathing alone and similar chores, around 12 to 14 years old, Davidson says. But she believes that should start as early as possible, depending on a child's intellectual, social and mental health disabilities. "Youth on the autism spectrum may need repetitive modeling and experiences so that they get those skills down and become as independent as possible," Davidson says. Too many families, she says, do tasks for their adolescents long past when the teen could do them on their own. Other youth continue to need support for what might seem like basic tasks, so parents and care providers have to work to learn the boundaries and abilities for each person on the spectrum. Even more important is for parents to ensure their children have the proper diagnosis, says Jodi Echakowitz, a mother in the Toronto suburbs whose 20-year-old son Kyle was initially misdiagnosed with social anxiety disorder. He received a correct diagnosis of Asperger's (now included under the autism diagnosis umbrella) in first grade. Diagnoses of generalized anxiety disorder, ADHD, a learning disability and depression followed over time. "A lot of parents with younger kids remain in denial and feel it's a detriment to put a label on their child, but that does a disservice to their child," Echakowitz says. "I say, embrace your child, embrace their differences — it's not necessarily a negative thing — and once you understand the clinical diagnosis, then you can actually provide them with the support and services they need." Kyle stayed in school for a second 12th grade before college to ensure he had the support he needed, which included social workers, social skills coaches and the school board psychologist. But the transition was still rough. "In high school, I was given a lot of accommodations and leeway, and in college, I didn't get that," Kyle says. "In high school, I'd never failed a class, and I failed two classes in my first semester of college, easy ones, because the sheer thought of just how much work there was in other classes prevented me from even thinking about work in the easy classes." Kyle agrees that getting his diagnoses early on, which opened up access to support and services, was crucial to transitioning to college at all. Just as crucial, however, is listening to what autistic young adults say they need, he says. "Oftentimes parents, psychologists and experts who are not on the spectrum are the ones consulted, but it's really important that the message becomes 'nothing about us without us,'" Kyle says. "For those who are nonverbal, that's also important — giving a platform to those who don't speak." That platform could take various forms depending on each child's needs, but that's part of planning for transition to adulthood, determining what those needs and supports are. In the US, formal transition planning through the school system is required, starting with an Individualized Education Plan (IEP) at age 14. By age 16, the IEP legally must include information on transition services, such as postsecondary agencies and other community services, the student needs to successfully move into adulthood. But those are rarely plentiful. Resources such as Interactive Autism Network, GotTransition, The Arc, the National Collaborative on Workforce and Disability/Youth, Wrightslaw, the National Center on Secondary Education and Transition and AAP resources can help. "It is very hard to get services when patients turn to the adult world because there's not the funding nor the orientation toward youth [with ASD]," Davidson says. She noted that subspecialties in pediatrics, such as neurodevelopmental disabilities, lack parallels in adult care fields. But the numbers of autistic people reaching adulthood is only going to grow. The CDC has reported a steady increase in autism diagnoses; currently, one in 68 children have the diagnosis. "There needs to be an effort to train behaviorists, psychologists and psychiatrists to be available and accepting of youth with ASD and to be able to handle them in the offices where they see their patients," Davidson says. "Whether that means funding from a government source or funding to do the training for adult providers, that's essential." She also highlighted the need to provide young autistic adults with social skills training and support related to the nuances of social hierarchy and work climates that typically developing people tend to pick up on naturally. "That's something youth with autism don't automatically understand, and it often can cause major disruptions and firing in job situations," Davidson says. "The use of job coaches, who can help those kids with autism adjust to the social stress and milieu of a work environment, and ongoing counseling during the young adult transition, is very, very helpful to youth." Share-Strom says it took him years to get his current position, a communications coordinator at Community Living Ontario, because so many interviews ended early when he couldn't maintain eye contact or autism came up. He talks about these experiences in his TED talk "Dear Society ... Signed, Autism." "The thing I found most challenging about autism is that when you're growing up, even people with the best intentions who are trying to help you are always telling you you're wrong, that your basic instincts are incorrect, so you learn not to trust your own judgment," Share-Strom tells NPR. "One of the biggest difficulties with transitioning to adulthood is trying to realize where you've been correct versus where you need to change, where the boundaries are between what you need to do to fit in and what other people need to do to accept certain things that are a part of who you are." A previous version of this story incorrectly spelled Yona Lunsky's last name as Lunksy. It also incorrectly said she works at York University. She is at the Centre for Addiction and Mental Health in Toronto.